OdorCap 5135 is a unique liquid odor control product for nitrogen-based odors. The selectively adapted bacteria work to degrade malodorous compounds with proprietary ingredients which stimulate microbial activity. 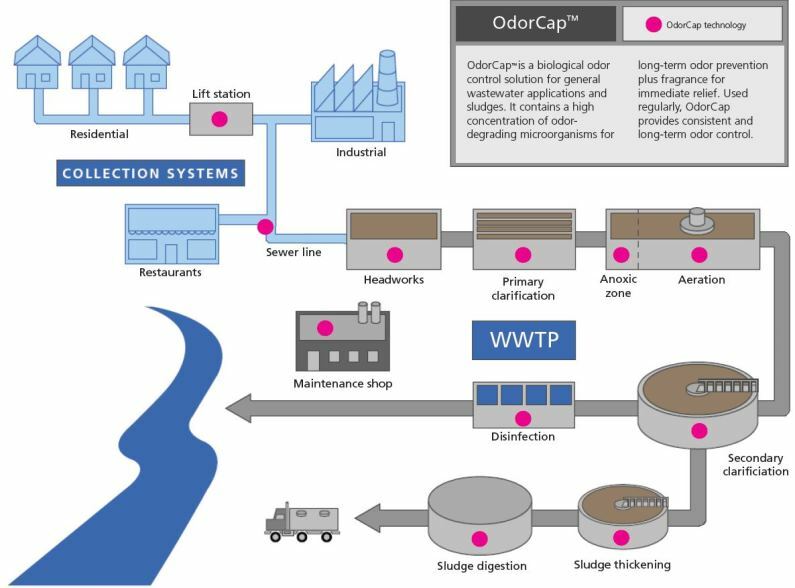 OdorCap 5135 is active against an array of nitrogen and sulfur containing compounds classically associated with waste odor problems including amine, ammonia, mercaptans and hydrogen sulfide. OdorCap 5135 can be sprayed full-strength or diluted as required. It may also be applied manually or with automatic fogging systems.